This book contains the single best sentence ever written about coffee: 'I went out into the kitchen to make coffee - yards of coffee. Rich, strong, bitter, boiling hot, ruthless, depraved. The life-blood of tired men.' If Chandler can write that well about your morning cup, just imagine what he has to say about the human condition. Noir at its best and Philosophically interesting. 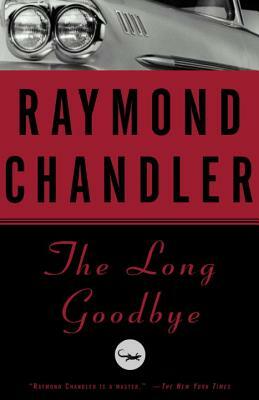 Crime fiction master Raymond Chandler's sixth novel featuring Philip Marlowe, the "quintessential urban private eye" (Los Angeles Times). Raymond Thornton Chandler (1888 - 1959) was the master practitioner of American hard-boiled crime fiction. Although he was born in Chicago, Chandler spent most of his boyhood and youth in England where he attended Dulwich College and later worked as a freelance journalist for The Westminster Gazette and The Spectator. During World War I, Chandler served in France with the First Division of the Canadian Expeditionary Force, transferring later to the Royal Flying Corps (R. A. F.). In 1919 he returned to the United States, settling in California, where he eventually became director of a number of independent oil companies. The Depression put an end to his career, and in 1933, at the age of forty-five, he turned to writing fiction, publishing his first stories in Black Mask. Chandler’s detective stories often starred the brash but honorable Philip Marlowe (introduced in 1939 in his first novel, The Big Sleep) and were noted for their literate presentation and dead-on critical eye. Never a prolific writer, Chandler published only one collection of stories and seven novels in his lifetime. Some of Chandler’s novels, like The Big Sleep, were made into classic movies which helped define the film noir style. In the last year of his life he was elected president of the Mystery Writers of America. He died in La Jolla, California on March 26, 1959.